some duct tape, ideally with the same colour as the rack. Oh, and you need to have a rack on your bicycle. Some racks may not be optimally compatible with that, sorry if that happens to be your case. 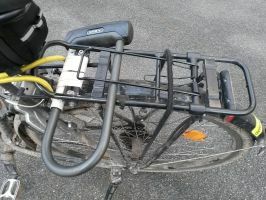 You will also not be able to carry your lock that way together with bicycle bags. This is so simple that this photograph may be enough to explain it. You will find text instructions just below. Attach it with some tape. If your rack has a spring-loaded clamp, open it and hold it that way. Slide one of its arms into the pipe, the other one relying on the rack. 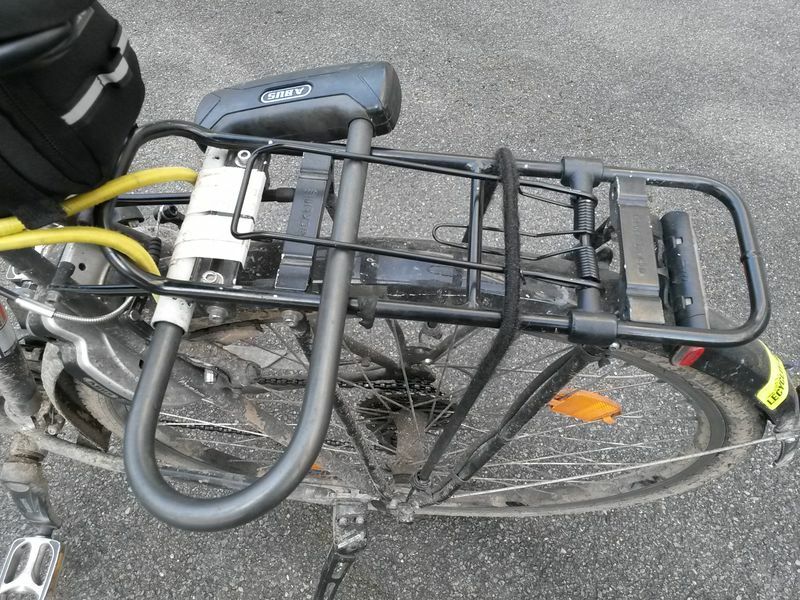 Release the rack clamp, if you have it, otherwise use a bungee cord to secure the lock against vibrations.